This patch adds Neko and Watts to the Mana Fotress and restores some unused Neko frames too. 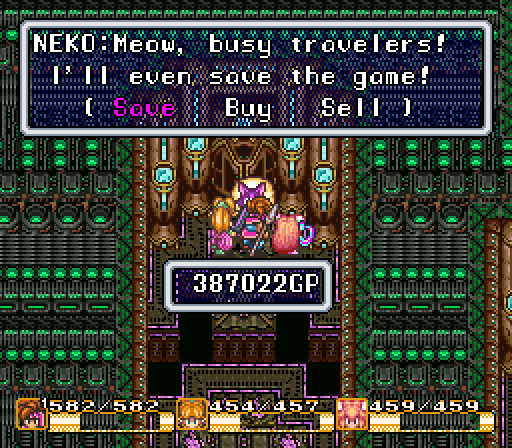 The new Nekos offer you the same items as the Tree Palace Neko, plus the ability to save inside the Mana Fortress. 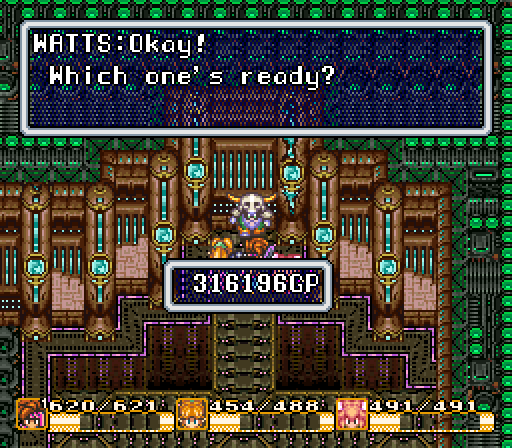 The new Watts is useful because there are so many weapon orbs that can be collected in the Mana Fortress. With Neko and Watts in the Mana Fortress, now you never have to leave. New Neko at the previously useless dead end ledge just before fighting Buffy. 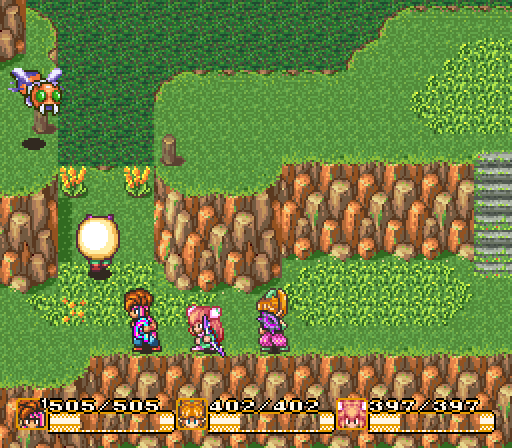 New Watts at the previously useless dead end southeast corner of the map just after fighting Buffy. Another new Neko at the teleporter just before fighting the Dark Lich. The New Nekos will wander, displaying the previously unseen Neko graphics. The Haunted Forest and Lofty Mountain Nekos will also now wander, displaying the previously unseen Neko graphics. 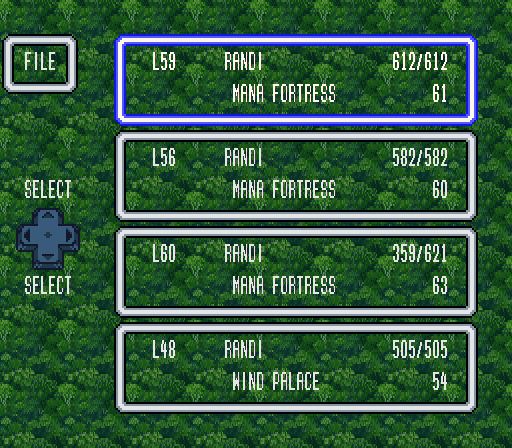 Known issue: if you load a save file saved in the Mana Fortress, the Mana Fortress music will not play until you transition a screen. Neko will only wander up and down. Mostly down. This is because Neko does not have left/right walking frames, so when he attempts to wander, any commands he receives to walk left or right are interpreted as down instead. As such, Neko will only wander in locations that are suitable for him to walk down most of the time. This patch is compatible with the Variable Width Font hack, but only if VWF is applied before this hack. This patch must be applied to an unheadered ROM. 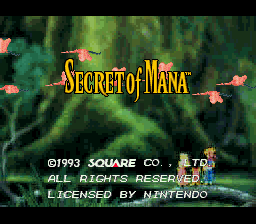 If you have a headered ROM, remove the header first using SNES ROM Utility.